This ain’t no Mickey Mouse s@#! 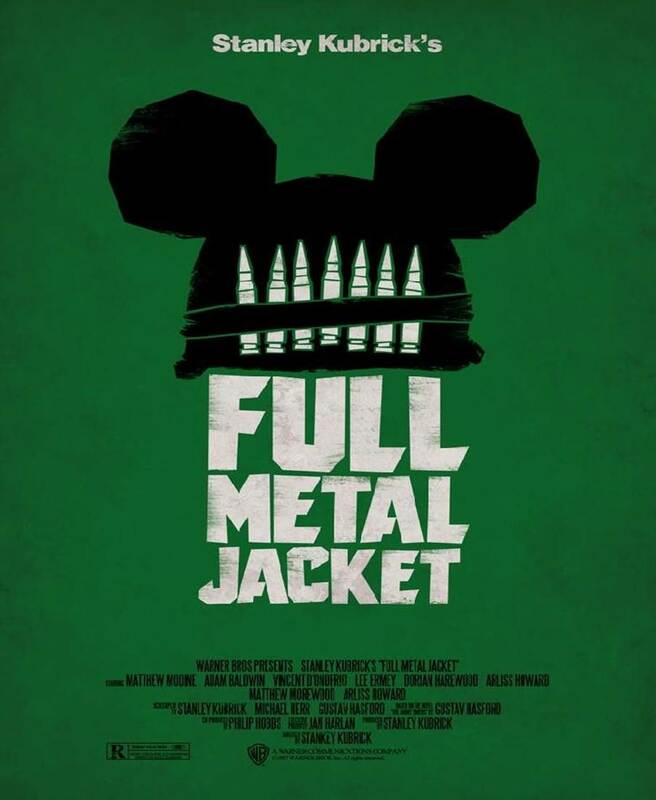 I remember when I saw Full Metal Jacket for the first time. I must’ve been about fourteen or fifteen years old and decided to watch it when it was on late at night of a weekend. I remember being compelled by the first 40 minutes (although finding it slightly repetitive) and finding the rest of it completely boring and aimless. Fast forward five years later to present day and you’ll find me currently going through the whole of Stanley Kubrick’s filmography and sticking on Full Metal Jacket for a second time. Have my opinions changed? Yes they have. I no longer find the first 40 minutes repetitive. 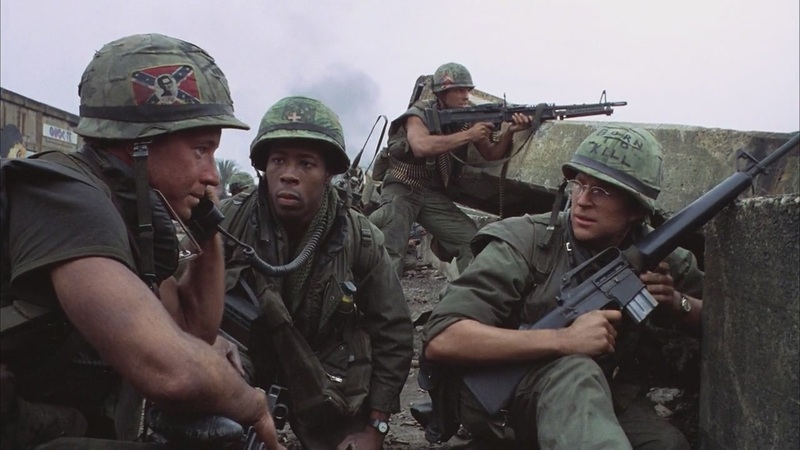 In fact, I think the first 40 minutes of Full Metal Jacket is one of the best things Stanley has ever created. The first 40 minutes are so strong that the rest of the film is unfortunately left in its shadow, but more on that in a bit. This half perfectly illustrates the conversion of human beings into cold, emotionless killers. Right from the off the recruits are stripped of their names and instead given labels. They’re all made to have the same hairstyle (or lack of), same clothes and shout only when shouted to. All of them even act like robots when training in unison. All except Private Pyle. The story of Private Pyle’s descent into madness is one of the most memorable put on film. At first we find his physical and mental inabilities amusing with the electrifying Lee Ermey shouting hilarious insults at him and Pyle failing miserably at obstacle courses. However, as it progresses the constant bullying becomes incredibly disturbing. There’s a fantastically dark moment where all the private’s team together to beat Pyle late at night with some soap. In the end you can’t help but feel sympathy for him. It all accumulates to the most powerful moment in the film where Pyle goes totally insane in the toilet. Everything in this scene is flawless. The brooding music, Vincent D’Onofrio’s haunting performance, the lighting, and the directing. All of this makes for an incredibly atmospheric and frightening scene with a chilling pay-off which is both surprising and unforgettable. The trouble is, how can you follow this scene? The answer is, you can’t. So far the centre of the film has been the relationship between Vincent D’Onofrio and R Lee Ermey, thus with these characters gone a new film begins. We’re plunged without warning into Vietnam, however unlike my fifteen year-old self, I actually didn’t find these parts boring. I just get frustrated because I’m not entirely sure what Stanley is trying to say. We sort of get little snapshots of life in Vietnam with Private Joker bobbing about and meeting folk. The film doesn’t really go anywhere, yet it still remains largely interesting, just nowhere near as interesting as the mesmerising first half. I did like the prostitute encounters though and thought they had a lot of interesting things to say about humanity. The film suddenly gets really good again when the team encounter a sniper. For Stanley Kubrick, it’s actually a fairly conventional war scene, albeit brilliantly done. It’s full of tension, remains gripping and feels very real. It’s incredible to think that the whole Vietnam sequences were filmed in London! Stanley then turns to his unusual self when the group encounter who the sniper is. It’s a very uncomfortable and haunting moment which results in the famous Mickey Mouse chant at the very end. I’m not entirely sure what Full Metal Jacket is trying to say, but I’m sure that Stanley has popped in a load of horrendously clever hidden metaphors which still haven’t fully been worked out yet. The whole film is of course a visual feast with superb directing from Stanley. However, content-wise I don’t think it’s as strong as his previous Paths of Glory. 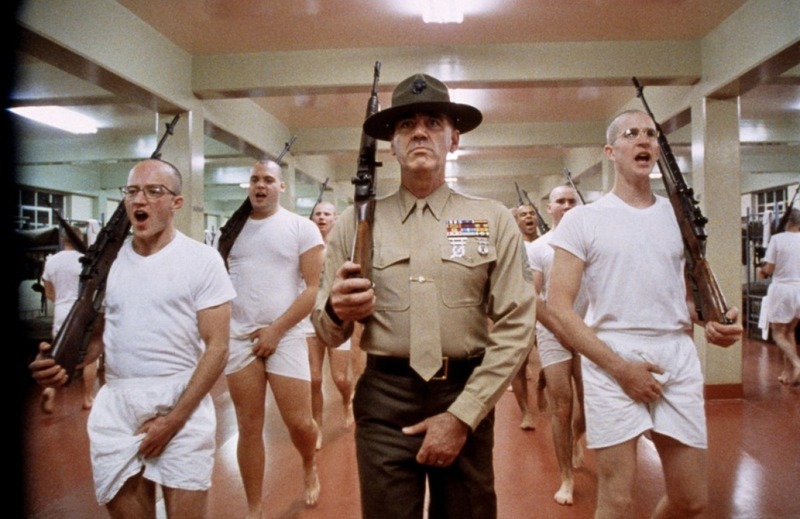 Full Metal Jacket may be much better in the technical department, but it feels uneven. Joker is nowhere near as interesting as Pyle and so the film begins to sag in comparison. Nevertheless, I enjoyed the film far more than when I first layed eyes upon it and will certainly be giving it some more watches! I think Full Metal Jacket is a brilliant film. This and the Shining for me are his most entertaining films, and his best for sure. 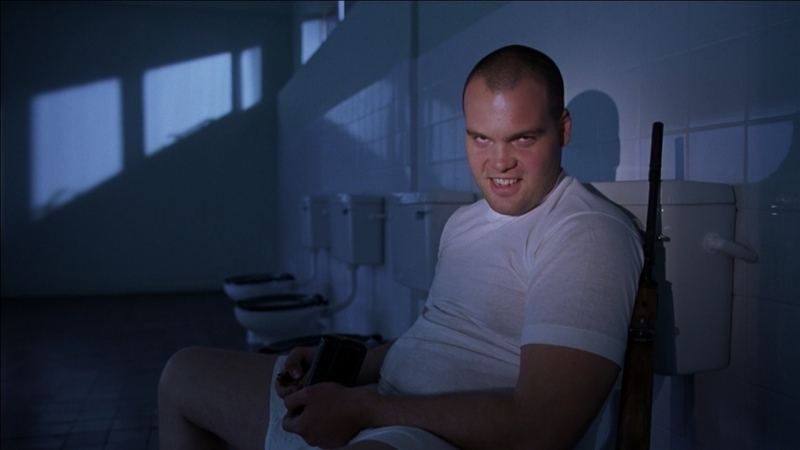 I think Full Metal Jacket has a pile of nail biting scenes. And the characters are fantastic, i love seeing the the hell they were put through in Boot Camp. Kubrick did direct this movie very well in my opinion, and as you said the bathroom scene where Pyle kills him self is in my opinion one of the most haunting scenes i have ever seen. The music, the acting, the cinematography, its all perfect. Great review dude! And by the way can you make a Top 10 where you countdown you Top 10 Movies of the 2010s, so like 2010 and onward. I’d love to do a list for the decade (so far) however, I haven’t seen enough films! I’ll make a list and get watching. What are some of your faves?